Tilly and the Buttons: Introducing Miette - The Perfect Sewing Pattern for Beginners! Introducing Miette - The Perfect Sewing Pattern for Beginners! 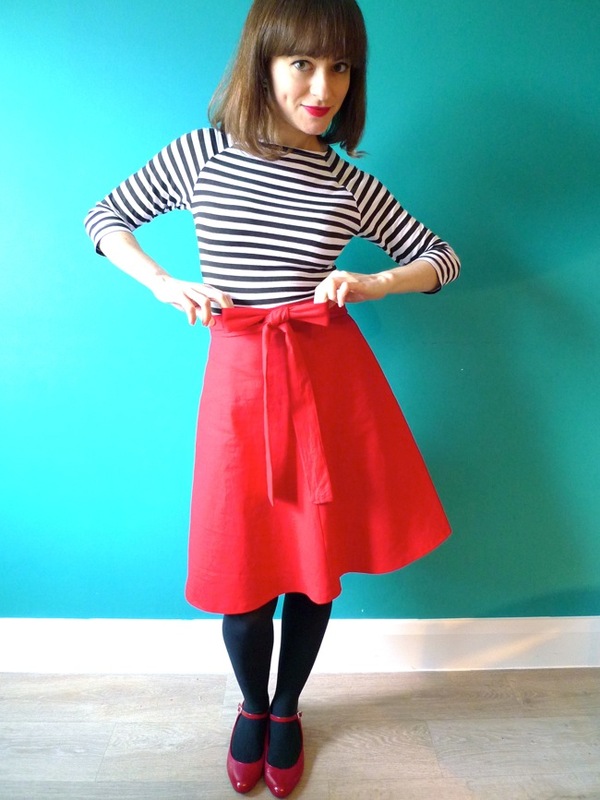 I'm sooooooo excited to share the Miette sewing pattern with you! 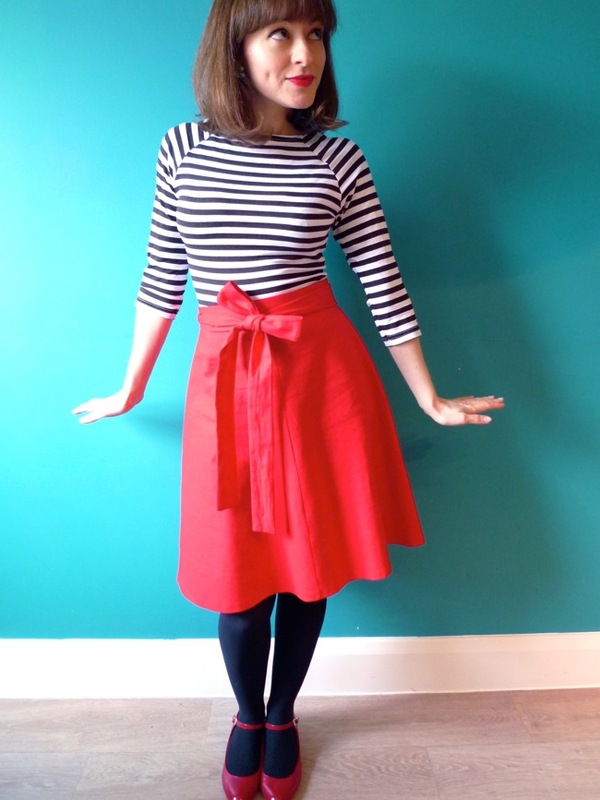 Miette is a gently flared wraparound skirt that ties at the front in a delightful bow. The skirt has a wide back overlap (no danger of flashing!) and optional practical patch pockets. 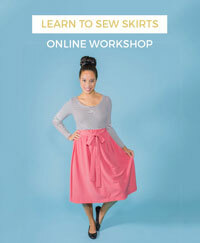 If you've never sewn a garment before, this is the sewing pattern for you! It has been designed for and tested on beginners looking for an easy first sewing project. The wraparound design means that there are no fiddly buttons or zippers to install. Plus it's so simple to fit - all you need is your waist measurement, and even if you get that wrong you can loosen or tighten the ties. Perfect! If you find sewing pattern instructions confusing, you'll love the online photo instructions which translate all the jargon and show you every step in detail. 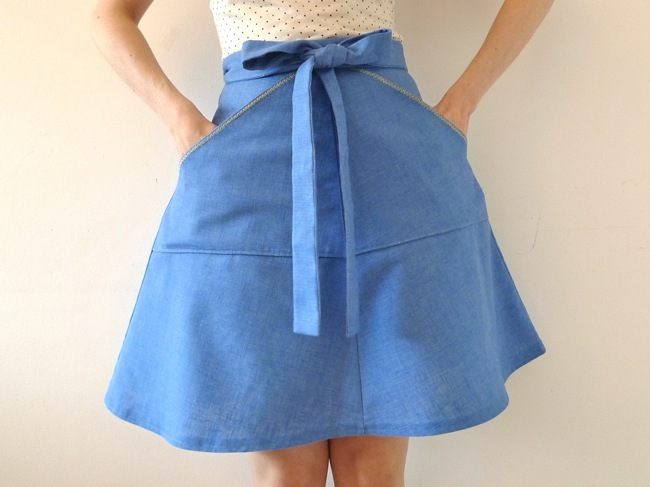 If you're an experienced stitcher, you'll love how quickly this skirt comes together. The print-at-home instructions include handy tickboxes so you can celebrate your progress - so satisfying! Miette is one of those great "blank canvas" projects that you can make your own with fancy topstitching, trimmings, embroidery... you could even design your own pockets! This is a print-at-home pattern ready to download and start making right now! Over the next few days I'll be adding steps to the digital instructions. Sew along as they go live or whenever you're ready to start sewing. 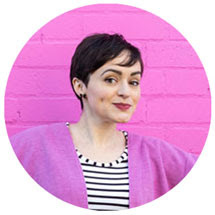 Take a look at the pattern details, drool over the Maker Gallery, and buy Miette here! With thanks to my wonderful pattern testers - Jane, Jo, Lauren G, Lauren T, Mai, Sarah and Oona.